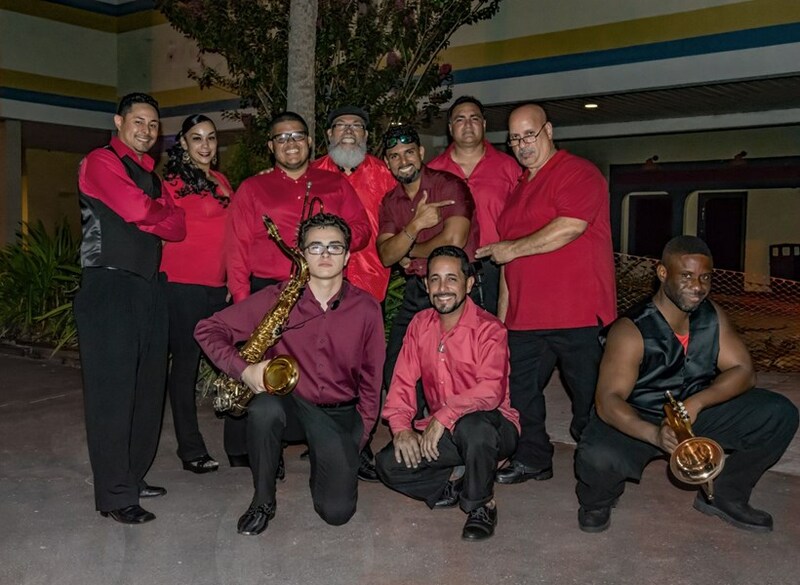 We are an experienced and professional 9 to 10 piece Latin Band Group. Playing all types of Latin music including Salsa, Merengue and Bachata. 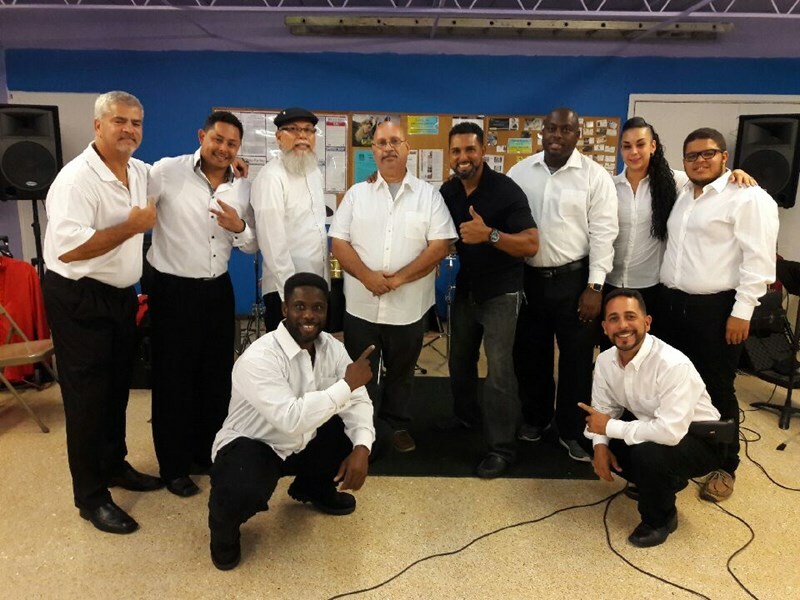 Located in the general Orlando Area we do travel to Kissimmee and different areas for performances. Available for all type of events ranging from Wedding, Private Parties, Sweet 16's, Holiday Parties and more. Book now and enjoy a wonderful evening with great live music!!!!! 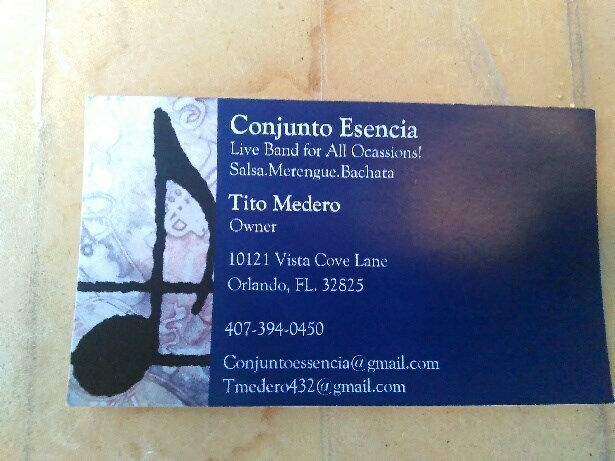 Please note CONJUNTO ESENCIA will also travel to Winter Park, Lake Jem, Maitland, Goldenrod, Altamonte Springs, Clarcona, Fern Park, Gotha, Casselberry, Ocoee, Windermere, Apopka, Longwood, Winter Springs, Winter Garden, Kissimmee, Oviedo, Oakland, Lake Mary, Plymouth, Chuluota, Killarney, Sanford, Zellwood, Montverde, Lake Monroe, Saint Cloud, Ferndale, Intercession City, Sorrento.